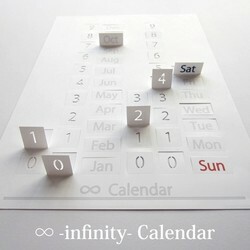 Pop up the numbers of the「∞ -infinity- Calendar」for a 3 dimensional experience of the days and months of the year. 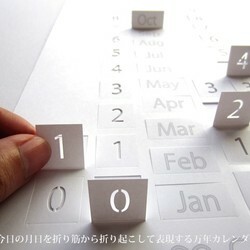 This is a perpetual calendar and can be used year after year to decorate any space. 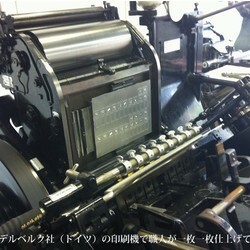 Printed with Thomson processing, each calendar is hand crafted by masters of the trade. 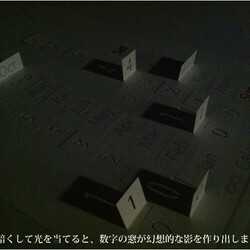 The numbers themselves have been cut out, so when light is shown through them they create a mysterious shadow effect on the paper. 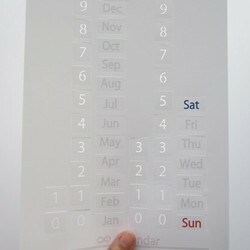 In and out of days, months, and years, this calendar will journey with you through the seasons, just as beautiful in the brightest summer sun as the darkest winter night.